Last week, a student volunteer found a little booklet amongst a pile of miscellaneous library publications he was cataloguing, that sparked an interesting conversation in the archive about our favourite books. Inspired by the BBC Radio 4 programme Desert Island Discs, the booklet “If you could only take one? 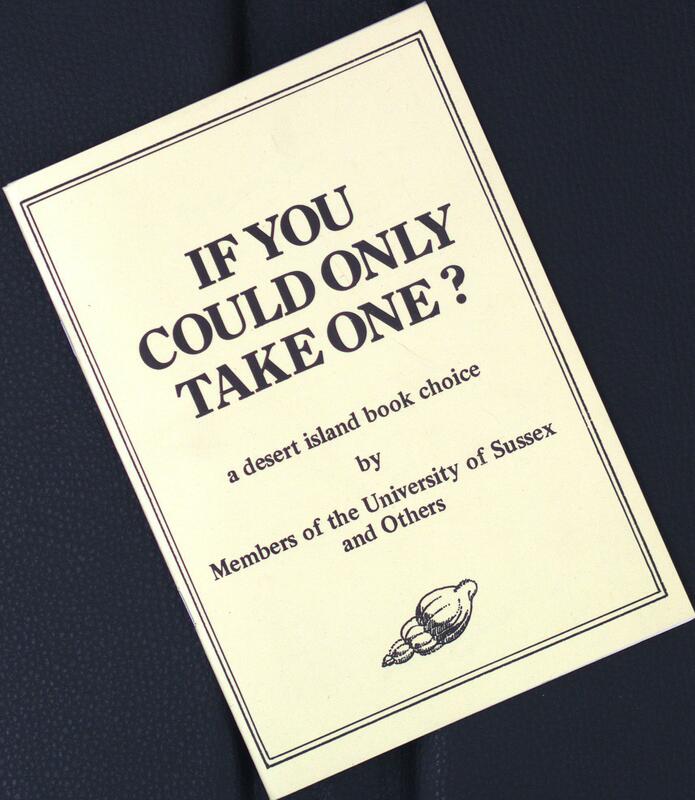 a Desert Island Book Choice” published by the University of Sussex Library in 1982 presents books that 24 members of the University would take with them to a desert island – if they could take only one. Choices range from Jane Eyre by Charlotte Bronte to The Times Atlas of the World (the most practical choice!). The publication was derived from an exhibition held in the Library where visitors were invited to offer their own choice and commentary. I now invite you to do the same in a kind of 21st Century equivalent! Jungle book, Catcher in the Rye, Nineteen Eighty Four; these are some of Special Collection’s staff choices. Would you stick with a classic as we have, or would you rather a modern novel? There must be a few Harry Potter fans out there! The President of the Students Union in 1982 – Dave Hellens, said that “an Island book choice would need to be re-readable , substantial in content, and continually absorbing”. Heed his advice well and leave your choice in the comments.